Professional meeting presenting the latest news in diagnostics and treatment of melanoma, organized by Serbian Medical Society’s Intersection Melanoma Board and Medical Academy was held at the Military Medical Academy. Posterior to the lectures covering surgical and the other treatment methods of this malignant disease, succeeded the promotion of monograph publication titled "Melanoma-Prevention, Diagnostics and Treatment" whose editors are the MMA head Brigadier General Prof. Dr. Marijan Novakovic and Prim. Dr. Nada Babovic, from the Institute of Oncology and Radiology of Serbia while authors the members of Intersection Melanoma Board of the Serbian Medical Society. The MMA head pointed out the fact that this work incorporated all modern attitudes and recommendations for treating this severe skin disease, as the work result of numerous specialists. He appreciated this multidisciplinary approach as a significant contribution to early prevention and timely treatment of melanoma. Prim. Dr. Nada Babovic said that National Melanoma Register is one of the basic steps previous to elaboration of Good Clinical Practice Guide. Register, established during last year, enables continuous monitoring of diseased and treatment control according to the guide and directives published in this book. Its reviewers also discussed about the work, namely Prof. Dr. Zlata Janjic from the Medical Faculty, University of Novi Sad, Prim. Dr. Davorin Radosavljevic from the Institute of Oncology and Radiology of Serbia, as well as the head of the MMA Clinic for Dermatology Colonel Prof. Dr. Rados Zecevic. 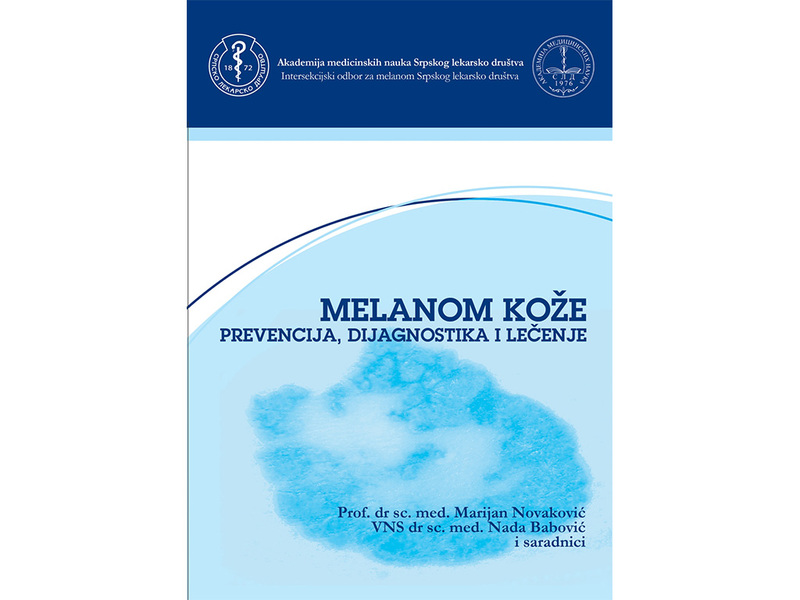 The publication, made by 20 authors coming from different medical centers from all over Serbia, is the result of need for more efficient measures of primary and secondary melanoma prevention, aimed at timely discover of early melanoma, its proper treatment and reduced number of newly discovered patients.